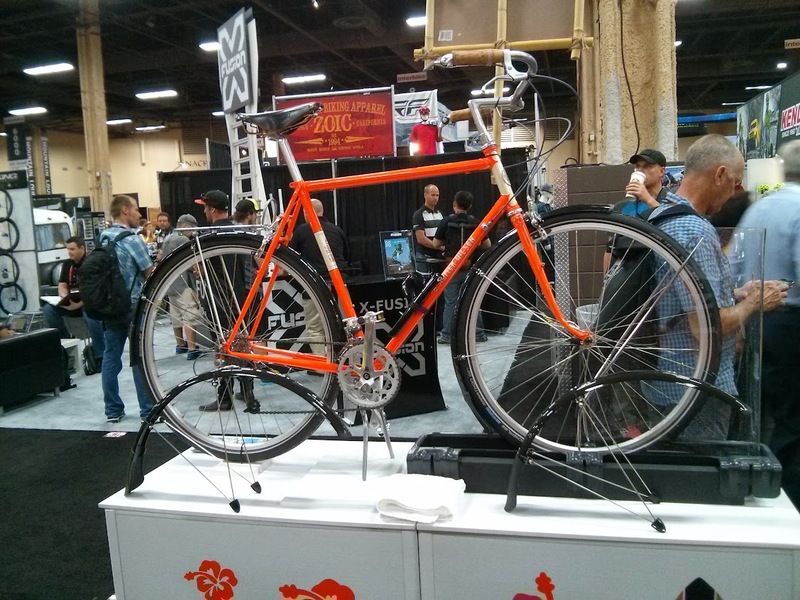 Unsurprisingly, we didn't have a booth at Interbike this year, but we did have our flagship frameset the San Marcos on display in the Japanese Pavilion. Here's a picture that American Cyclery took after building it up. As some astute facebook stalkers may already have noticed the San Marcos are beginning to come with fork blade mini racks mounts. This is a feature we're adding to a few models in our line starting for 2014. Hanging out in the Japanese Pavilion has some perks, and we got sneak peeks at a few exciting new products. Nitto's new machined alloy stems look stunning. These will be a great match for our 31.8 bars like the Soma Highway 1 and the Eagle Bar. 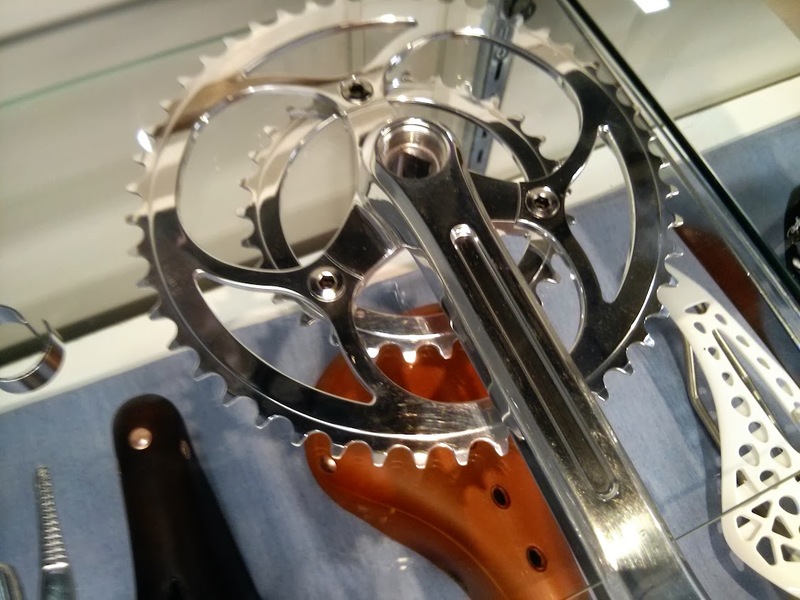 Dia Compe showed off some new ENE Ciclo 3 bolt wide range touring double cranks. Can't wait to get our hands on these. 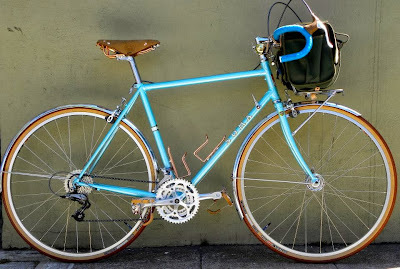 They should work great with our new Grand Randonneur frame. Speaking of which, the first batch of production GR framesets are due in sometime in the next week or so. We'll get pictures of the production framesets as soon as we get them unpacked. 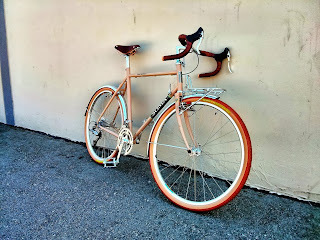 We expect these to sell out, so contact Boulder Bicycles if you haven't pre ordered yours yet. Miyata, the venerable Japanese bike maker had some new stuff on display too. This bike is built for 650a (aka 26x1 3/8") tires. 650b is so over. This Rivendell Homer was chilling out at the SKS booth. Riv built this bike up with a healthy dose of Japanese style. Tange Japan had a sample of the new IRD Defiant QB-95 BB to show off. The super low friction bearings spin like butter. Panaracer was on hand with a sample of our new Grand Randonneur tires. They're a true 42mm slick with tubular casing for a ridiculously compliant tire. Don't worry Rivvies, we're doing a bomb-proof touring version too. Minoura showed off the New Albion Homebrew, a lugged steel road/cyclotouring bike launching in 2014. 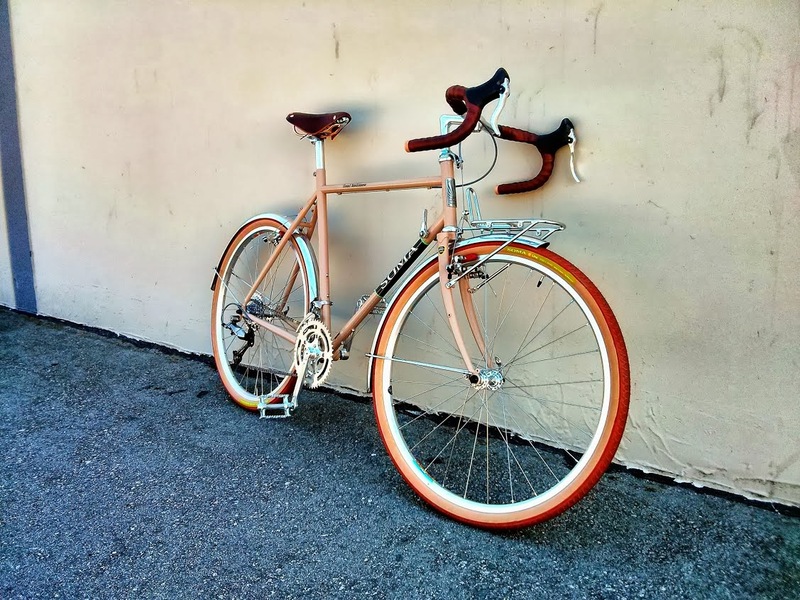 The Homebrew will be sold as a complete bike, with IRD Brakes, Sunrace crank and derailleurs, Rivendell Silver downtube shifters, and Soma Roundwise handlebars. 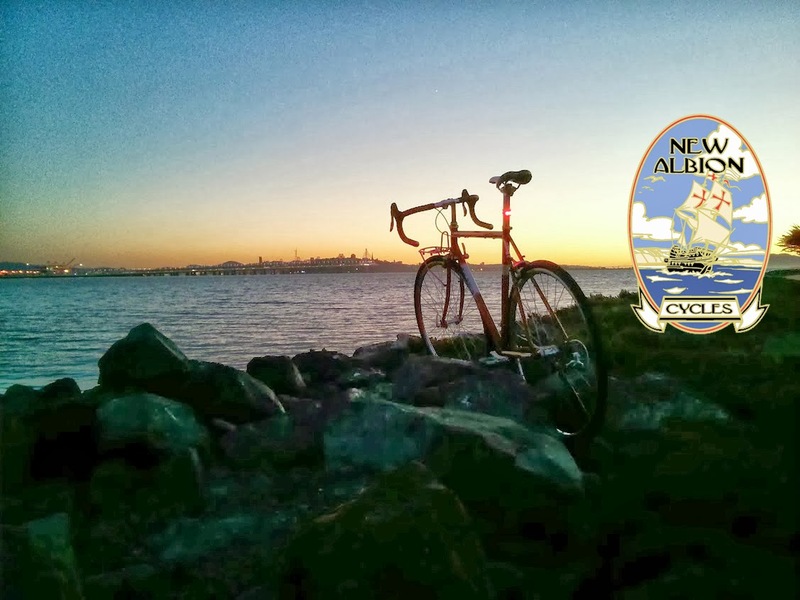 The 2nd model from New Albion is the Starling, a do-anything mixte frame with clearance for 700x38c tires with fenders. Keep an eye out for more products coming from New Albion in the coming months. Well, that's it for Interbike 2013. 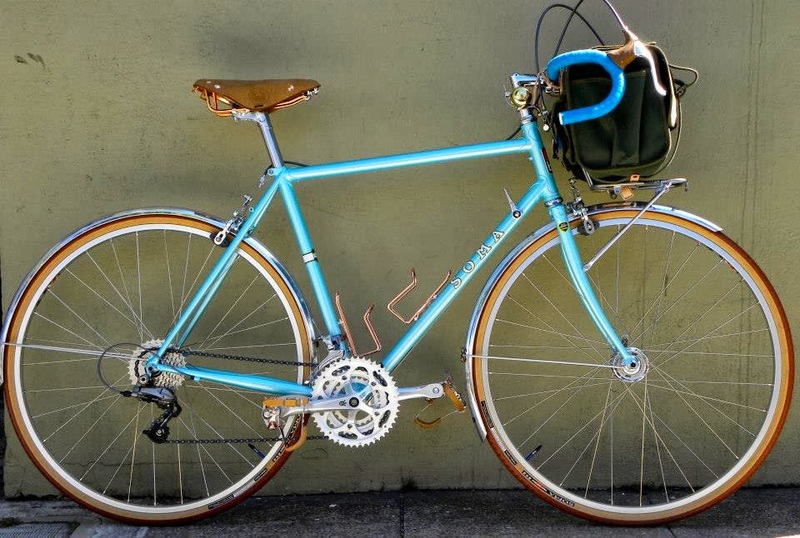 Keep checking back for more updates from the 2014 Soma Fab lineup. We've got a lot of awesome new products on the way, including new complete models of the ES, Double Cross Disc, Saga and Buena Vista! Well, a second SOMA bike is in my garage. I bought both, a Saga and an ES, in about 2 months time. I was so impressed with the Saga, I ordered an ES. I just picked up the ES and rode it home from my local bike shop, M&M Cycling in Sierra Vista, AZ. Mike Baltunis, one of the Ms in M&M Cycling, built it including the wheels. It has a Shimano 105 drivetrain and STI shifters along with 105 hubs laced to Mavic Open Sport rims. The tires are Schwalbe Marathon 700-25. The short ride home, 10 miles, convinced me I made the right choice getting the ES frame and matching fork. The nimble and predictable handling, smooth ride, and good looks make the ES something special. I think I see a century ride coming, and at my age I better get on with it! Here is my new Saga. All the components came from my old touring bike from a big U. S. name brand. I was not satisfied with a frame and fork built by the lowest bidder of no name tubing in an unknown country. When I received the Saga frame and fork, I was pleasantly surprised. The quality of the welds and beautiful paint job was much better than the price would indicate. This frame and fork set is a great value. And the ride, including stability, is markedly better than the old frame and fork. I was so impressed with my Saga that my local bike shop (M&M Cycling, Sierra Vista, AZ) is now building a new ES for me with components that I selected with their advice. I only wish I could have found one in the deep red color.